Swords are already in 'Fortnite's' PvE mode, but they will most likely come to the PvP mode as well. Epic Games has added numerous things to "Fortnite Battle Royale" during the Season 7 update. 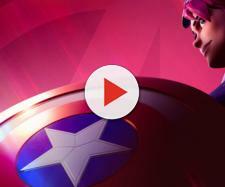 This has been arguably the biggest update the video game has ever received, and players have not only received big map changes, but also a brand new mode to enjoy with their friends. The video game developer has also added many new files to the game data, and now we can see what things are going to be added eventually. "Fortnite" developers have added a lot of new items to the game since its release in September 2017. Some of these items have been taken from the PvE mode, Save the World, and transferred to the player-versus-player mode. It seems that this is going to happen once again, as data miners have found sword files in the Battle Royale data. 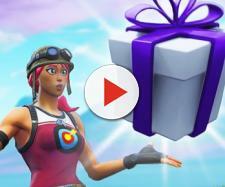 Season 7 has completely changed the gameplay, with airplanes and zip lines added, so it won't be surprising if we get another unique item very soon. Save the World mode has had melee weapons since its beginning, and some players have suggested Epic Games to add these weapons to the Battle Royale mode as well. The game developer had talked about this possiblity almost a year ago, saying that there is a chance for melee weapons to be added to the more popular mode. Now, data miners have discovered the presence of a sword, and there is no doubt Epic Games is going to add it to the game. Considering that the game developers have recently buffed shotguns, there doesn't seem to be the need for another close-range weapon. However, we don't know how good or bad swords would be, and if they would have any perks "Fortnite Battle Royale" players could use. Adding this type of weapon would certainly change the game, and it would be interesting to see how players adjust to the new gameplay. Twitter user FortTory has discovered these swords files in the "Fortnite Battle Royale" data. As you can see, each file has "BR_" in its name, indicating that it is going to be added to the PvP mode. Additionally, these files are found in the Athena folder, which is the folder for the battle royale files. Even before data miners had leaked the upcoming "Fortnite Battle Royale" item, Epic Games revealed a sword in the Season 7 promo image. 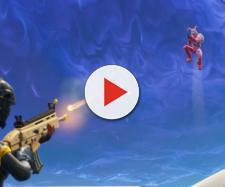 The image includes all Season 7 Battle Pass characters on an airplane, with one character holding a sword. The game developer has posted numerous other clues for upcoming items and features, and this is definitely one of them.